Many times we asked students to do class work in such a traditional manner, such as to write a research paper, write an essay to present their knowledge, in written form only. While it is important that students can read and write, This is not the only way for them to show their knowledge. It's important to give an element of choice as well as to give variety throughout the year so that students who excel in other areas, or who struggle with writing have a chance to show their knowledge. Why not just write an essay? Perhaps that particular student is not a strong writer, but really does know the content. Or may they are really good at animation, graphic design, sound effects, or some other aspect. It's time that their knowledge show through. 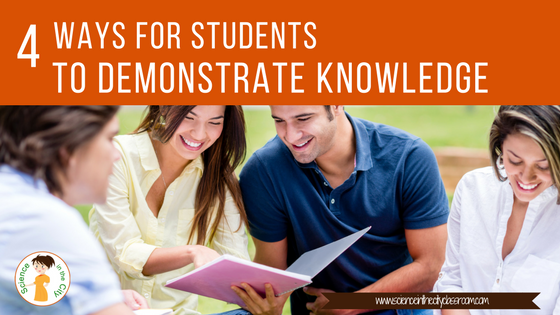 Some great ways for them to demonstrate their knowledge, other than written expression would be a screencast, Thinglink, a PowerPoint or Google Slide presentation, a podcast, or even an animation such as PowToon. Sometimes, even if the student is a stronger writer, having an aspect of choice is so important. Allowing the student more choice over how to demonstrate their knowledge is a way to get more buy-in and engagement from him or her, and more excitement about the assignment. 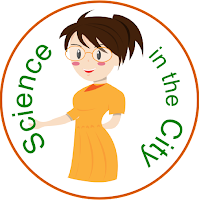 A podcast is a very easy alternative to implement, and has many different applications in the classroom. Students could simply do a voice recording on a tablet, phone, computer with a microphone, or many other devices. If you actually want it to be posted as a podcast available online, this is possible too, and there are a lot of tutorials and guides online. However, for a single assignment, it would be appropriate for students to just make a recording, and it could even be shared as an audio file on Google Drive, if you choose. The downside of this is it of course you can't include any visual elements but for some students and some topics this will be enough. A screencast is a recording of the computer screen it can be done with a camera with it, showing the student's face, or without and can record only the tab or the desktop of the computer, along with recording audio. This is a very simple way to record a short presentation with narration, a technology skill, or student presenting or showing a particular topic or skill. There are lots of ways to do a screen test but my personal favorite is the Chrome extension screencastify I believe you can make a free recording up to 10 minutes and the results is saved right in Google Drive. Very simple!! Thinglink is a paid product, but there are also free accounts with a few limitations. Thinglink allows the student to start with a picture such as a map, photograph, diagram, etc and then add certain buttons with information and links, videos, sound files, or even text documents and callout buttons to make a multi-media clickable image. Again, this depends on the topic, and how it is best suited. I think this would be great for presentations where you want to show a lot of information from different sources. A word of caution, be careful that the student is able to summarize their information, or paraphrase and cite the information, because it can be very easy to just cut and paste a lot of information. Thinglink is a great way to make a really different kind of presentation and include various kinds of information. Here is a great example of a human body presentation. Powtoon can be a lot of fun and very interactive for the students. It is quite different than what they may have done before. The warning on this one is that there will be a bit of a learning curve for students. It may take some time for them to get comfortable, so allow extra time to learn the technology if you choose this method. Lastly, don’t rule out a PowerPoint or Google slide presentation. This is not really a brand new method, but can be an alternative to a written presentation. Both allow shorter, more broken up writing, and the insertion of videos, images, and other multimedia formats into the presentation. Google Slides is easier to insert videos and easier to share the final presentation. PowerPoint is easier to insert narration or sound files if this is something that you want students to do. Adding audio to Google Slides is difficult. As we transition to using more technology, under the SAMR model, these may be some ways to push your teaching, and your students learning, to the next level, and to further engage your students. Have you used any of these in your classroom? What other alternatives do you utilize, besides a written essay, do you use for students to demonstrate knowledge? Please share in the comments. With all the technology available, it can be overwhelming. Here are 5 (and a bonus) new technology options that I suggest you try in your classroom this year, in bite-size pieces. 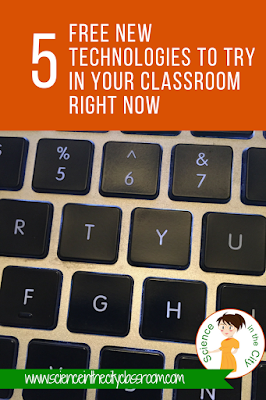 They are easy ways to liven up some of your instruction and find new ways to engage with and connect with your students. It can be intimidating to think of doing a video, but don’t be intimated. First of all, you don’t need to have your face on camera! This is key! You can do a screencast of your computer screen, of a file or PowerPoint, or a series of photographs or images, so you are really just doing a voice over. 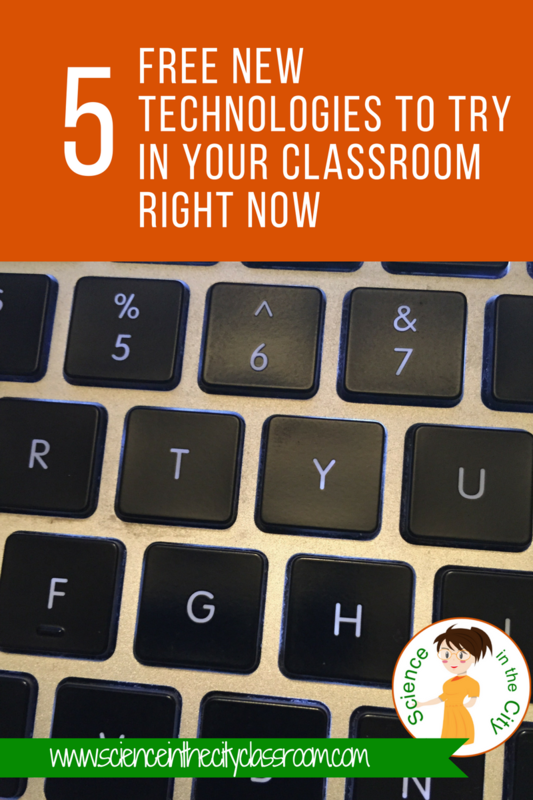 There are several easy ways to do a screencast. If what you are doing is short, there is a Google Chrome extension called screencastify that will allow you to record camera, your desktop, a browser tab, audio only, or other combinations of that. It will save to YouTube and/or Google Drive, making the sharing of your video very easy. If you are making a screencast based on images or slides, my favorite way to do it is in PowerPoint. It is pretty easy to “Insert Audio” and then have it play with the slides (you can set timing as well). Then export the whole thing as a movie when you are happy with it. Why make a screencast? I have seen people screencast instructions or a mini-lesson for a sub, although I haven’t done that myself. I have used it to allow me to be in two places at once time. For example, I have used it to give directions at a station, while I’m free to circulate. I can show a lab demo, and kids who were absent can replay it. I can give instructions or introductory information, and, again, students who were absent can catch up easily. I have even used a video at one station, while I work with students at another stations. We already have a lot of formative assessment tools available. What’s different about Plickers? Students don’t need devices! 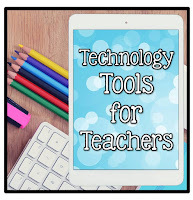 It's a technology tool because it uses technology to improve speeds, data collection and to make your life easier, but if you don’t have a lot of student tech, this is a great one to try. To use Plickers you get free printable cards. They have a symbol on that that will not be recognizable to other students (so students won’t know what choice their peers are making). Also on the card, in small, lighter print, are choices (A, 1, B, etc). These cards can be assigned 1 per student, so you can collect data on each student’s individual answers. When you ask a question, students hold up their card with the answer choice that they are selecting facing up. You take a picture, with the app on your phone, and your data is collected. Here is a video that shows in more detail. If you want to use videos in your instruction, whether they are your own videos, or those from another source, consider EdPuzzle. You can make questions that go with a video, on a worksheet, or you can build in questions and quizzes into the video itself with EdPuzzle. This also gives you the option to enforce that students watch the entire video. Lastly, there are many videos that already have questions. You can choose from these videos, and copy and modify the questions yourself. Here an example of an Amoeba Sisters Mitosis Video that I found (I did not make up the questions). 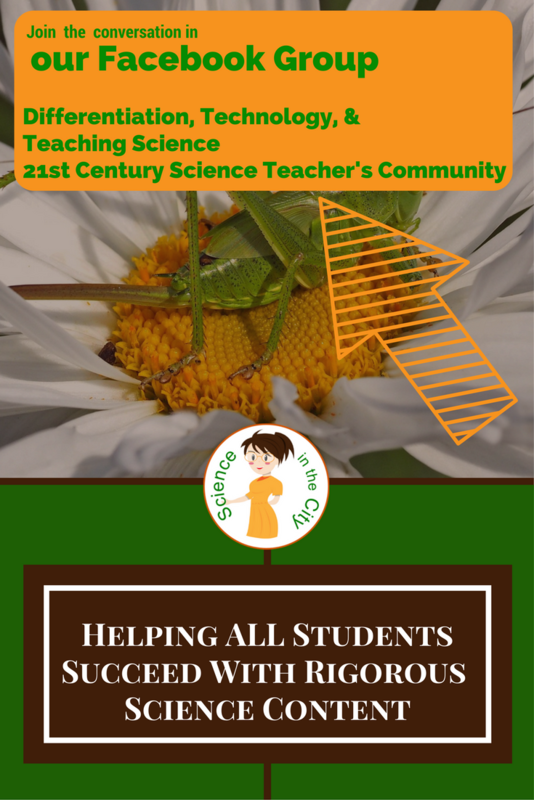 As a teacher, you can have your students sign up for a class, assign videos, and you will be able to see their progress in the video and all their quiz answers. You can also just give students a link to a video directly, if you don’t need as granular data. I have used Padlet only minimally myself, but it is one that I want to try more, and it is growing in popularity. It has a lot of potential uses, so I think it should be included on this list. Again, its very easy to use. It bills itself as “the easiest way to create and collaborate in the world.” The teacher (or someone) makes a prompt, on a ‘board’ and students can respond. Think of it as a big wall with sticky notes. However, those responses can also include links, images, etc, and you can build connections between the responses. Padlet is an extremely easy way to collect a lot of information quickly, and to have collaboration. I have not used Nearpod myself, so I’m not writing a lot about it, but I wanted to at least mention it here, in the bonus section. Nearpod allows you to add interactive elements into a PDF document, or into slides. In other words, it add more interaction into a 1:1 classroom. Here is a video showing it in action. This is Nearpod: the 21st Century Classroom from Nearpod on Vimeo. 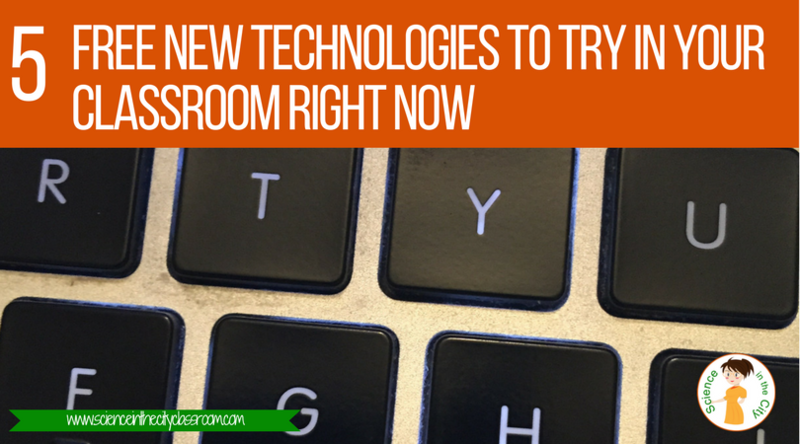 What's on your list of new classroom technologies to try? Have you used any of these? Tell use about it in the comments!